Mrs. Valencia Robinson, Ed.S was diagnosed with triple negative breast cancer in October 2006. She was busy enjoying life as a high school English teacher and a mother of a 3, 4, 5, and 8 year old. She continued teaching during chemotherapy and this ignited in her a passion to be an advocate for others as she saw many women suffering and dying after their diagnosis. Her advocacy work is very extensive. As board member of the Florida Breast Cancer Foundation she serves on various committees where she visits the state capitol in Tallahassee advocating for legislation that would make life easier for cancer patients and for funds to continue research and treatment for patients. She has also advocated for similar legislation in Washington DC working along with the National Breast Cancer Coalition. She serves on the triple negative patient advisory board of the pharmaceutical company Astra Zeneca where she advises the company on clinical study design and planning efforts in order to optimize patient experience. She also works with the Department of Defense, Congressional Directed Medical Research Programs, specifically the Breast Cancer Research Program which challenges the scientific community to design research that will address the urgency of ending breast cancer. 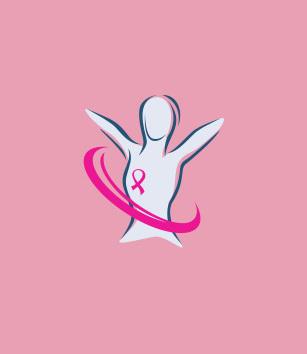 The National Institutes of Health, National Cancer Institute, and the Oncology Nursing Society are all organizations that she is currently working with to help improve care for women who are diagnosed with breast cancer. In her local community she has sponsored a Wellness Retreat for 8 years where breast cancer patients and survivors come for a free three day weekend of rest and relaxation. Local doctors talk to the those in attendance and estheticians and massage therapists are on hand to provide a joy filled weekend of strength, serenity and smiles. In 2013 she was selected as a National Teacher of the Year by People Magazine. She is an author and speaker who uses her personal testimony which is life affirming and encourages all to change their outlook on the miracle of daily life. Valencia Robinson has continued to educate herself as a patient advocate, through various outlets that has allowed her to encompass a wide range of knowledge and training that she disseminates in her community and beyond.